Hi, We’re the Cruise Brothers! And we are looking for people who love to cruise to be Sales Agents at our new office location on Bald Hill Road in Warwick. 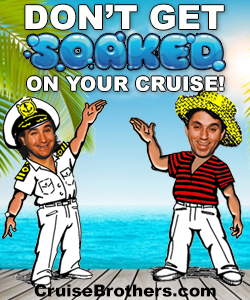 Cruise Brothers is one of the largest family owned cruise travel agencies in the United States. We were established in 1972, and while we are the “Cruise Brothers,” we have worked diligently to establish our brand, not only as cruise experts, but as experts at land vacations as well. Over the years, we have helped nearly a million people plan their dream vacations and their special, once-in-a-lifetime adventures! Individual vacationers, family members, and friends account for the majority of our business. However, we have also built a thriving business that focuses on groups - - - class reunions, destination weddings, music and other theme cruises, seminars at sea, fundraisers, and corporate meetings and incentives. As an affiliate of Travel Leaders Network, the $21 billion a year travel industry giant, and a consistent top producer with the world’s leading cruise lines and tour operators, Cruise Brothers has established the buying power that ensures that our clients receive the travel industry’s very best pricing and a generous array of travel amenities. Whether your interest is in a cruise, an all-inclusive resort, or a land tour; whether it’s the Caribbean, Alaska, Europe, Hawaii, or the World, Cruise Brothers’ team of seasoned travel professionals is committed to providing you with expert, professional advice; award-winning service; the best travel values, and memories that last a lifetime!